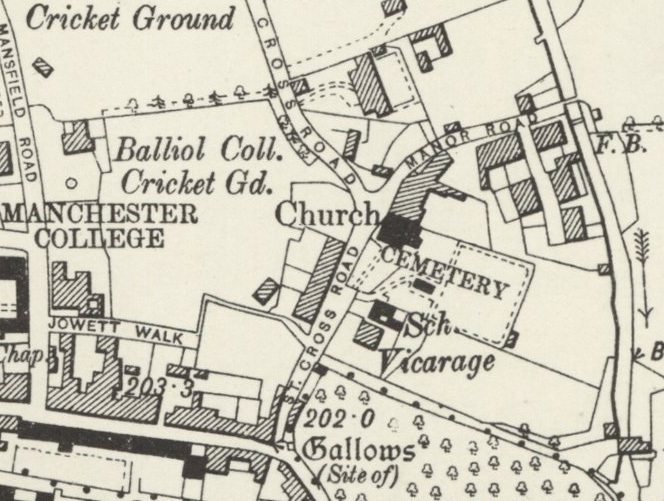 In 1850 Merton College gave permission for a school to be built on the former village green near St Cross Church (on what is now St Cross Road), and Edmund Hobhouse, the Vicar of St Peter-in-the-East Church, paid for it to be built (on the understanding that the parish would eventually buy the bullding) in 1858. The architect was Charles Buckeridge, and it was attached to the lodge of Holywell Cemetery that had been built in 1850. 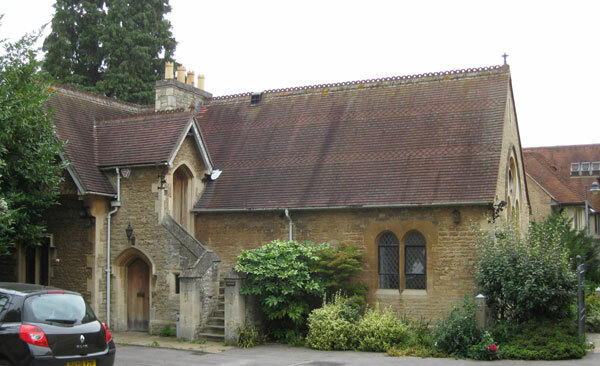 By 1856 this lodge was used as the teacher’s residence, and in 1857 Merton College gave more land to the east of the school and an infant school was built there. Although there was room for 127 children, attendance never rose above 65. In 1923 St Cross became a junior and infant school, receiving 24 children from the parish of St Peter-in-the-East and sending its senior girls to that parish. By 1935 there were only 45 children at the school and it was closed in July 1938. 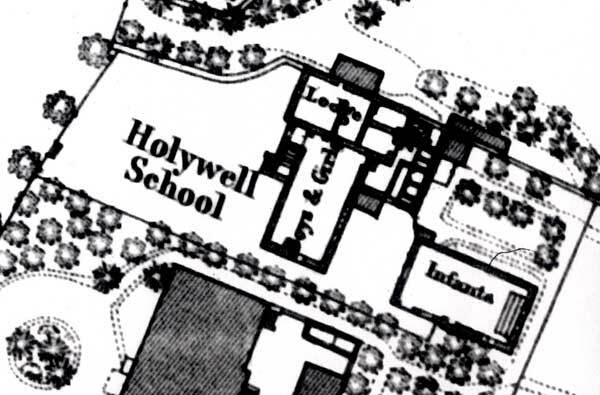 The Oxfordshire History Centre at Cowley has nine log books of Holywell Mixed School dated 1872–1910, and four dated 1910–1938. The Old School House was the library of St Cross College from 1965 to 1981 (see college history). The college then moved to St Giles, and let out its premises to the Oxford Centre for Islamic Studies until 1995. The new St Cross Road Annexe for students of both St Cross and Brasenose Colleges opened here in 1996..